Controlling ants around our home’s and businesses is an endless battle during the warmer seasons. In the fall as food supplies dwindle, it isn’t uncommon for ants to target your indoor space for food. For many species of ants, the two main seasons of activity are spring and fall. Fall is a foraging season to prepare for winter and the indoor areas are often targeted. Treating fire ants in the fall with professional pest control in Fort Worth provides a distinct benefit that provides you with the upper hand come spring and the breeding season. For example, during the summer, fire ants dig deeper into the soil to escape the heat. By the time fall arrives, they are moving closer to the surface. With winter’s arrival, they will naturally dig deeper to escape the cold. Untreated fire ant colonies can rapidly escalate into a mass infestation come spring. Fall provides an ideal time for pest control in Fort Worth, as they are closer to the surface. Furthermore, with the arrival of spring, you will have fewer ants to deal with. Fall is an ideal time for pest control in Fort Worth as they’re closer to the surface. Due to the foraging activity of the pests, fall is also an ideal time for placing ant baits out, when research indicates the bait is taken back to the nest within the first few hours of its placement. Not only does fall treatment kill and continue to kill for several weeks, it weakens the colony with a reduced population during the winter. Fall treatment and winter are your partners in fire ant control and the control of other ant species. Trim back tree branches and shrubs that touch your home by 2 to 3 feet, to keep ants and other pests from entering. Eliminate food sources inside your home. Clean up crumbs, and don’t leave food or food waste out. Place dirty dishes in the dishwasher, and prevent access to food by storing non-perishables in sealed containers. In addition, don’t leave pet food out overnight to avoid attracting pests, and store extra food in sealed containers. Clean up spills on kitchen counters, and rinse out recyclables before placing them in the bin. Use gravel or stones around the perimeter of the home’s foundation to discourage pests and ant beds. Avoid mulch and plants as they provide pests with an ideal nesting environment. Before bringing potted plants indoors in the fall, inspect them for ants and/or other pests. Call your plumber for repair of leaky faucets (indoors and out), leaking sprinkler heads and water line leaks. You will save water and eliminate handy moisture for pests. In addition, roof leaks should be repaired. Leaks are beneficial to many insects, including carpenter ants and termites which can cause severe damage to your home. Eliminating leaks is the first step in ridding your home of these damaging pests. Storing firewood as far from your home as possible can eliminate carpenter ants, termites, spiders and other insects. Furthermore, elevate the stack at least 12 inches off the ground to discourage pests. Caulk cracks and crevices around windows, and in the foundation and siding. In addition, replace worn door sweeps and worn weatherstripping around doors to keep pests out. 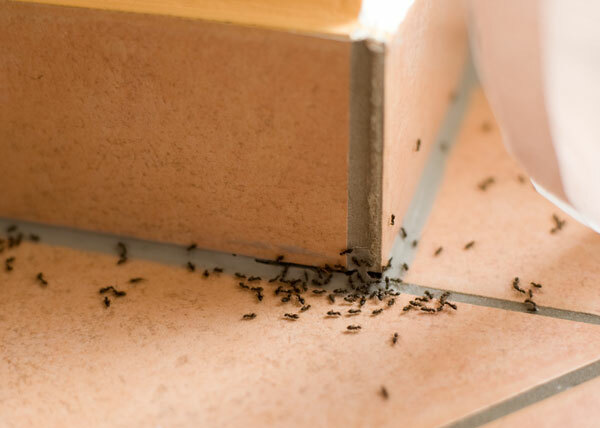 Proper fall maintenance and professional pest control in Fort Worth is the most effective solution for ridding your home of ants and other pests, and for preventing them. Untreated fire ant colonies can rapidly escalate into a mass infestation come spring. Don’t miss the opportunity to reduce those numbers, call today to schedule fall treatment of the pests in your lawn and home with professional pest control in Fort Worth. 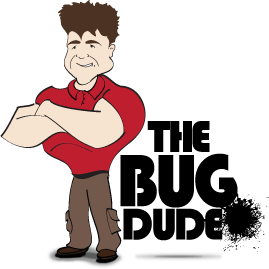 The Bug Dude provides the professional pest control services you require in Fort Worth and the surrounding areas with professional pest control services.